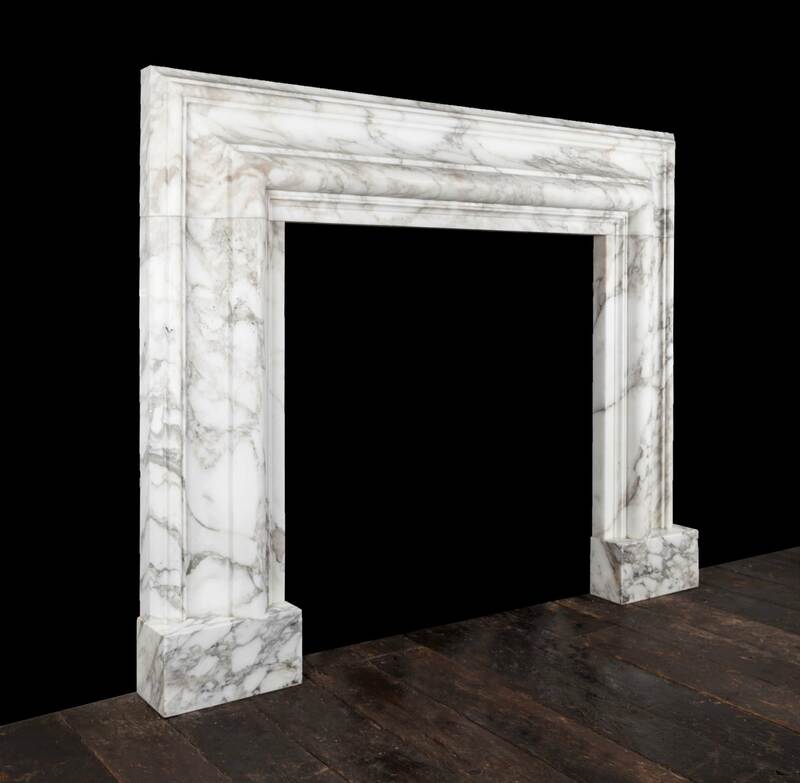 The substantial 12″ (300mm) wide bolection moulded frame, rests on plain square plinths. 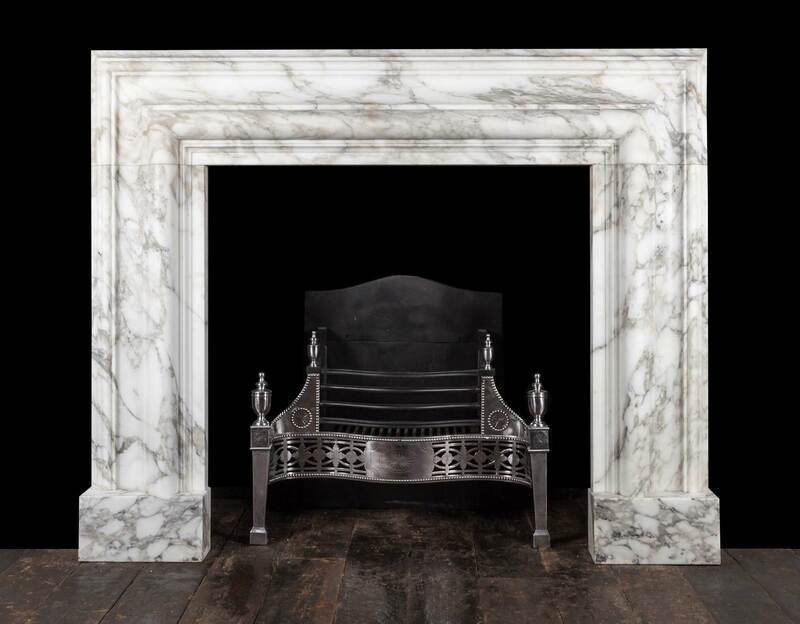 Carved from a block of beautifully figured, Arabscato Carrara marble, hand selected in Italy by Ryan & Smith. 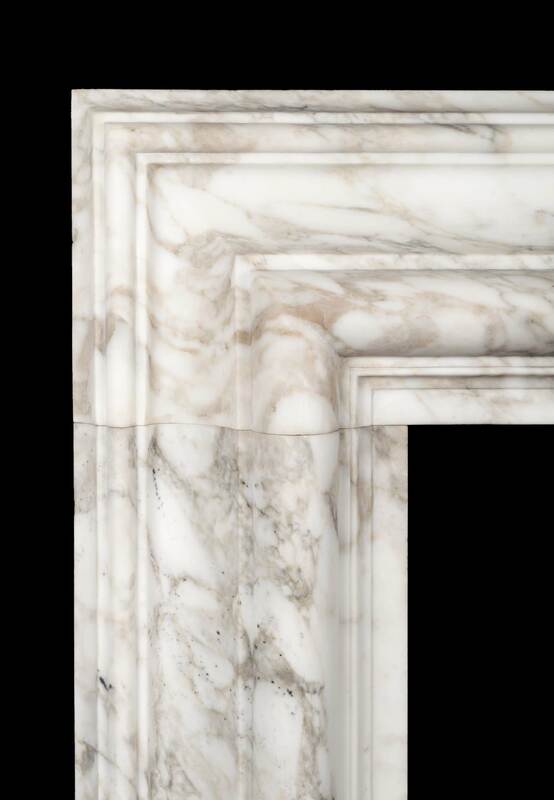 Also available in a larger size, 70″ wide, 54″ high.